I recently bought the entire Lavender Collection from Camille Rose Naturals when it went on sale on the website. To start I have to point out the obvious and say that the packaging is really cute and every product smells amazing. 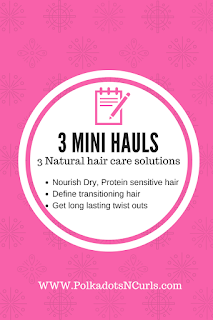 The bundle includes a shampoo, a protein free deep conditioner, a hair spritzer, a creamy leave in, a styling gel and last but not least an edge control gel. So let's get to it and talk first impressions of each item. This is a deep cleaning clarifying shampoo that includes Apple Cider Vinegar (ACV). It has some astringent qualities similar to the ginger cleanse rinse from the original line, is a favorite staple cleanser for me. I've however noticed that while ACV is a popular staple for a lot of naturals it doesn't really do it for me. My hair strands tend to feel squeaky clean and dry and my scalp a bit irritated whenever I use the ingredient for a clarifying rinse. I figured maybe with an official formulation I might see different results but unfortunate I did not. I have this theory that the acidic PH is beneficial for high porosity hair types as it closes the hair shaft and maintains moisture. But as someone with low porosity hair, which means my hair shaft is already closed, it prevents more moisture from entering for me. This deep conditioner is protein free and promises moisture along with scalp stimulation. The strong menthol scent incorporated in the formula is intended to offer a moisturizing build up free condition while offering benefits for hair growth. I found the deep conditioner made my hair feel very soft and had great slip. The menthol will definitely stimulate your scalp, it's like a fro mint for real. I'm still bias in favor of the algae renew deep conditioner which has a more subtle mint scent to it, but if you're really serious about hair growth this lavender DC might be the best fit for your needs. I have and will continue to compare products from this line to other Camille Rose products, I can't help myself. I have bought the majority of their lines, I'm kind of a CRN junkie. I was hoping this leave-in would be similar to the slip and moisture retention of the coconut water leave-in but it's in its own lane. It does not aid as much in detangling but in all fairness it does not claim to while the coconut water leave-in does. The hair spritzer can be used in ahead of the leave in for extra slip if needed and does the trick pretty well. The leave in itself left my hair soft and gave it more of a light wave than enhancing the curl. I think it pairs wonderfully with the gel and makes for a great lightweight moisturizer. This is my favorite product from the collection and is definitely on my list to repurchase (please make the individual products from this collection available soon CRN). It was said by Janelle Stephens herself that this gel is formulated to offer more hold and definition for type 4 hair and I agree. It lives up to the expectation and is a lot less sticky than the curl maker formula. If curl maker didn't give you the definition you were looking for but had potential, give this a shot. I love this spritzer, it smells so good. The spritzer smells really good and has the sweetest most floral lavender scent of all the products in the collection. It can be used for detangling and I like to use it as a daily moisturizer. It can refresh wash and gos and also help in setting your hair into a new style in between wash days. I would definitely repurchase this product as well. Overall I think the collection is a great addition to the overall Camille Rose Naturals product line and encourage you to try them all if it interests you. Despite the fact the the cleanser and deep conditioner aren't my favorite I think they'd do wonders on high porosity hair if my PH theory serves me right. Thanks for reading and don't hesitate to reach out with requests for future tips and reviews! This week I got try the dull hair solution deep conditioner from Naturall Club. I received a 2oz. packet in the mail after only about two or three days for shipping. The products are made with natural ingredients in small batches so it may vary from person to person how long the package takes to arrive. The deep conditioner is so fresh that it is recommended that you refrigerate or freeze it if you wish to store it for a while before use. The ingredients include avocado, shea butter, coconut oil, tea tree oil and lavender essential oil. My hands were soft just from washing it out after applying. 😩The essential oils give it a nice scent while also adding scalp benefits.The slip for detangling was decent and as the product set in it ultimately did a good job in that department as well. After about 30 min. of deep conditioning my hair felts very soft and defined, I noticed lots of movement and volume. It does a great job of deeply moisturizing hair without weighing it down. I did feel a bit of oil remaining on the surface of my hair toward the beginning of the second day but it was not excessive and absorbed after restyling. View the video below to see a first impression and demo. First up is my current favorite shampoo the Camille Rose Naturals ginger cleansing rinse. Click here to check it out and for a limited time (7/27-7/30) get 25% off with code: 888114. Now let's review! Camille Rose Naturals is a woman owned, black owned, hand crafted brand that uses recognizable and pronounceable ingredients. I've previously praised this product on my Instagram (@polkadotsncurls) for being deeply cleansing and moisturizing at the same time. Ginger stimulates your scalp and leaves your hair squeaky clean. The castor and aniseed oil along with many other moisturizing ingredients makes this a lathering sulfate free shampoo that's good enough for detangling. For that, I will always have room in my product stash for this gem. FYI if you do choose to purchase this product at Sally beauty through my link I do receive a small portion of the transaction that will go into making Polkadotsncurls a magical place for all curl kind. Below I put together a quick tutorial/demo of an $8 twist out routine. I decided to try out the new Garnier Fructis Smoothing Treat 1 Minute Hair Mask after hearing about it on youtube and coming across it at a cvs the other day. It was only $2.99 for the 3.4 ounce and there is a 13.5 ounce for only $6.90 on amazon. I called it the 3-in-1 conditioner in the title because it claims to function as a washout conditioner, hair mask and leave-in. Another potential perk is that this conditioner is silicone and paraben free making it a very affordable curly girl friendly cure all. As a conditioner I am looking for it to have slip so that I can detangle my hair. As a leave in it has to actually absorb and retain the moisture of my hair and I'm going to be particular about that because I have low porosity hair. I have to say that for the price this actually brought a lot to the table. Usually I expect to have to splurge on a silicone free deep treatment. This conditioner had pretty decent slip. It's not very thick, it has a "conventional" conditioner scent and feel but it absorbed quickly into my hair and kept its staying power through a light rinse. I wanted to still see how it might work as a wash out product so I lightly wet my hair and scrunched out the excess. You'll see from the video that it came out soft and even gave a bit of definition. Well played Garnier. it is so important. While a regular conditioner can make your hair feel soft and help with detangling, deep conditioning penetrates the hair shaft to make a lasting impact on the overall health of your hair. 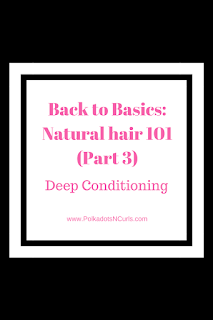 If you were to choose one product in your regimen worth splurging on, deep conditioner would definitely be my suggestion. 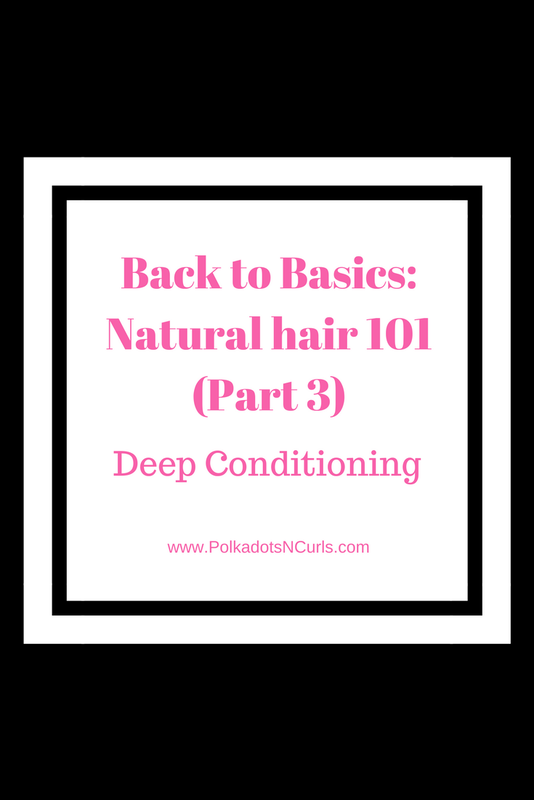 I have to admit that deep conditioners have been a tricky part of my own natural hair journey. It can be difficult to figure out what you need and what is worth the money, especially when you are just starting out. Here are three of my favorites. Also, be sure to stay on the lookout for many more deep conditioner reviews to come (I have several hauls on the way in the mail). This was the first deep conditioner that really changed the game for me. Thanks to Shea moistures famous BOGO sales and price range I was able to find my way out of a serious hiccup with the health of my hair during my junior year of college. The biotin, avocado oil and hydrolyzed rice protein in the deep conditioner strengthened my hair without overloading it. All three ingredients nourish, strengthen and condition the strand to soften and define your curls. It's a great balance for both protein and moisture, which stopped the hair breakage I was experiencing while encouraging new growth. Shea Moisture Jamaican Black Castor Oil Masque which I review here. As a moisturizing keratin masque it has comparable benefits to my next pick. I first came across this masque as a free gift option at Sephora. I had a small 1 oz. that I was able to get about two or three uses out of it, which is awesome because I have a lot of hair. At first I was worried this masque wouldn't be for me as it has keratin in it, which is the strongest protein you can use in your hair. Proteins rebuild the hair shaft which is great when you need it but not so great when you don't. Protein overload can make your hair feel stiff and dry which is obviously not ideal. Anyways, I found that this product is still pretty moisturizing for a keratin masque and if used occasionally can work well on natural hair. If you are transitioning or recovering from hair damage I highly recommend adding this into your regular routine once or twice each month. This deep conditioner is an awesome option for anyone with protein sensitivity or really just anyone for that matter. What makes this masque from camille rose worthwhile is how light and absorbent it is on my low porosity curls. This masque contains mango butter which is super moisturizing and magical and helps me retain moisture for days without weighing it down or causing buildup. The blue green algae in the formula is a fairly unique ingredient and makes your hair strong without using protein like the others. ***I am in the Amazon Services LLC Associates Program.- With that being said I have used all of the products love them. Figuring out the perfect regimen for your hair can be difficult. From transitioning hair to waist length natural curls there are a wide range of needs to be met. Here are some simple and affordable ways to treat yourself and fix any issues you may be dealing with on your natural hair journey! The cowash alone is a go to, holy grail cleanser for many naturals. All three products of course complement beautifully and leave the hair feeling soft and manageable. If your hair starts feeling poofy and fragile as the weather fluctuates this should get you right! Shea Moisture's Strengthen Grow and Restore line has as long a history of mixed reviews as it does a name. For a long time I was weary of trying but recently stole some of my sister's 😅. I was pleasantly surprised and think it is a perfect option for transition hair as well as naturals with high porosity. The line is intended for deep cleansing and uses keratin, which is the strongest protein you can use for your hair. It's a great way to rebuild your strands and start bring out your curl pattern. Finding the perfect styler can be tricky. It's all about a delicate balance between moisture and hold. These two are the only creams I use for twist outs at the moment and are both so good I have successfully used them on freshly washed hair without a leave-in (though it lasts longer if you do). ***I am in the Amazon Services LLC Associates Program.- With that being said I have used all of the products love them and recommended them! A good conditioner will change the game, every. single. wash. When you find a good conditioner it will make detangling much easier and you will shed less hair each wash day. As I mentioned in the first installment of this series where I discussed cleansers, a major factor to consider when selecting a conditioner is silicone usage. Conditioners which contain silicones are usually praised for having more "slip" meaning they make detangling flow much more easily through tangled hair. I was hesitant to transition out of using silicone conditioners for this very reason. What I found however was after clarifying and having a long, thorough detangle and deep condition session, silicone free conditioner proved to work perfectly. Silicones cause hair buildup over time which prevents new moisture from entering the hair strand and lowers the performance of your hair styling products. This leads to dull unmanageable hair that gets oily and weighed down when remoisturizing. Deva Curl Devacurl One Condition Decadence - This is the first silicone free conditioner I ever got along with and definitely a favorite. I got a 32 ounce salon size bottle and used it up in only three months! It's rich, creamy, smells amazing and can be massaged into your scalp without causing buildup. If you are having a tough time choosing which DevaCurl product to splurge on for your first tryout of the brand this is by far the best place to start. It also happens to have a few light proteins making this conditioner strengthening while still being extremely moisturizing. Camille Rose Naturals Moroccan Pear Conditioning Custard - It only takes a little bit of product to noticeably soften your hair from the first use. This conditioner has a unique fruity scent, probably because pear oil and cherry kernel oil are at the top of the ingredient list. Trader Joe's Tea Tree Tingle Conditioner - This conditioner is light, moisturizing and has good slip. The tea tree oil makes it great on its own as an unofficial co wash as well. Hi I'm Deja! I am a writer and Public Relations grad who loves to nerd out about natural hair, intersectional issues and binge watching Netflix. I spent my first year after college jumping around contracting jobs and figuring out my career like many of us fresh out of school. PolkadotsNCurls is my creative platform and expression of what I want to do when I grow up. I am so glad you are here and reading this! Don't be shy, feel free to comment on any and all content, I'd also love to hear what content I can create for YOU so reach out!